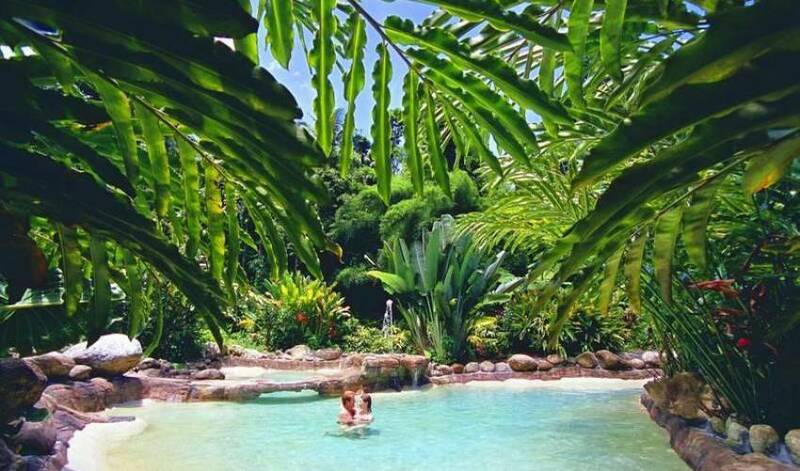 The perfect romantic paradise, exclusively offering you and your partner a unique, private and lush tropical experience with 100% privacy, as we only have one couple booked for the entire retreat, unless otherwise requested. 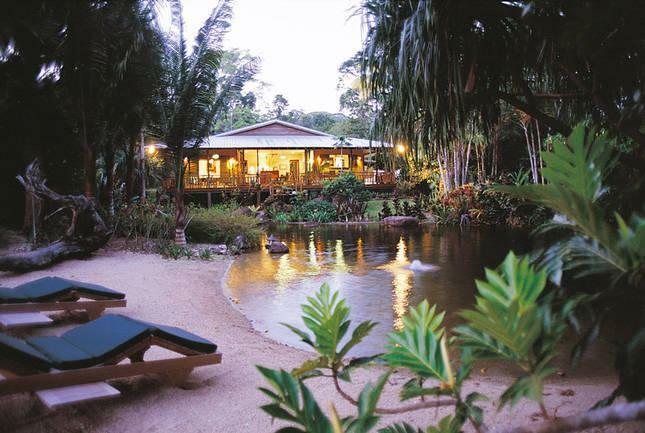 The retreat offers you and your partner the ultimate Romantic experience in the "Blue Lagoon" villa and guest suite, nestled around a 400 square metre pool lagoon surrounded by exotics and tropical Australian gardens and set in the foothills of Queensland's second highest mountain, Bellenden Ker. Your luxury accommodation features all the contemporary features of a 5 star home, hotel or resort and includes; large screen plasma, cable and digital TV, DVD, CD and iPod station, gas oven and cook top, dishwasher, coffee machine, Spa, Weber BBQ, Air Conditioning and fans, swinging love chair, fantasy lighting and a 180° veranda. The guest suite is available on request if you are holidaying with another couple and features LCD flat screen remote control TV which pops up from the base of your red leather Queen bed, bar fridge, kitchenette with dishwasher, gas cook top & coffee machine and Air Conditioning and fans. 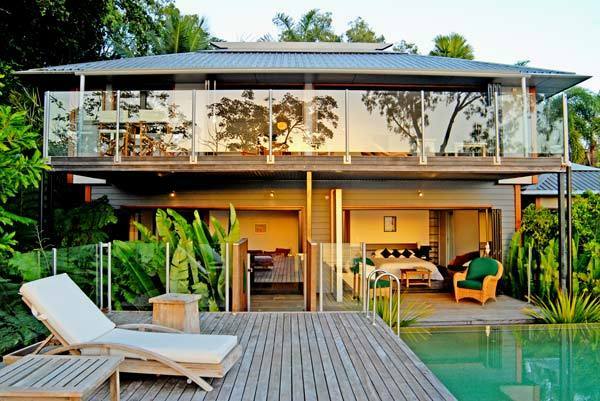 The property is truly your luxury alternative to staying in hotels and resorts in Cairns, Port Douglas, Cape Tribulation, the Daintree Rainforest, the Atherton Tableland and Great Barrier Reef islands resorts. 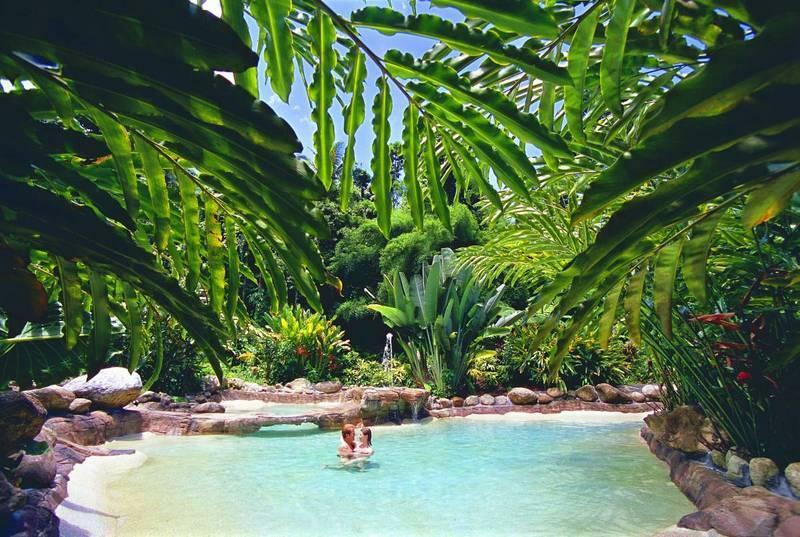 It is little wonder that the property has hosted couples and honeymooners of renown from all over the world. 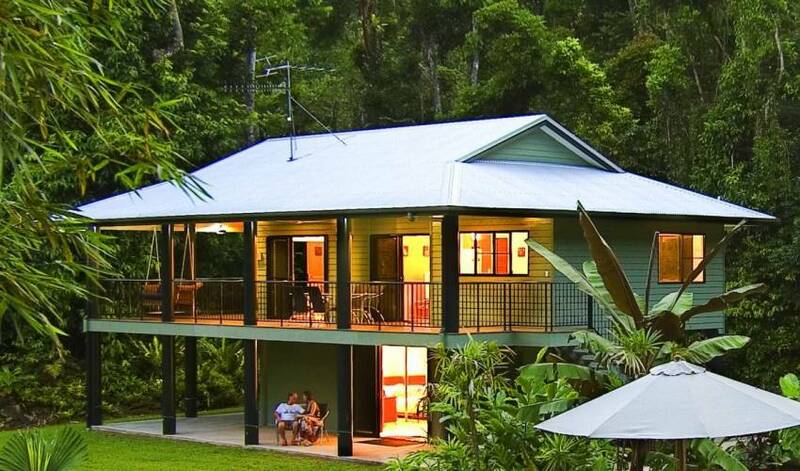 The retreat is only available for 26 weeks of the year to help the beautiful rainforest regenerate. The retreat offers the "Blue Lagoon Villa", nestled around a 400sq metre relaxation pool in magical tropical gardens, while the stunning new "Glass Club" features your own private state of the art bar and lounge, a pool table, dancing pole, 180cm LCD screen with surround sound and a spectacular lighting system. 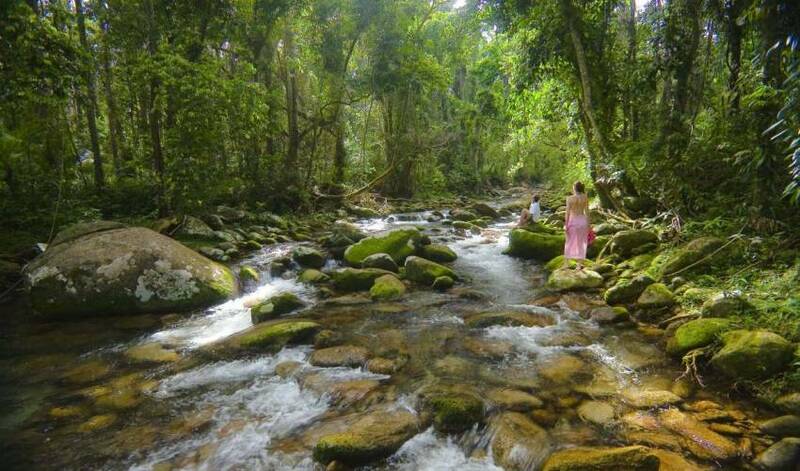 You also have a private "Think Tank" for meditation and massage, set above flowing streams and the rainforest. A private helipad is also available, while the environmentally friendly Electric Club Car is also yours to explore the 200 acres of natural wonderland. 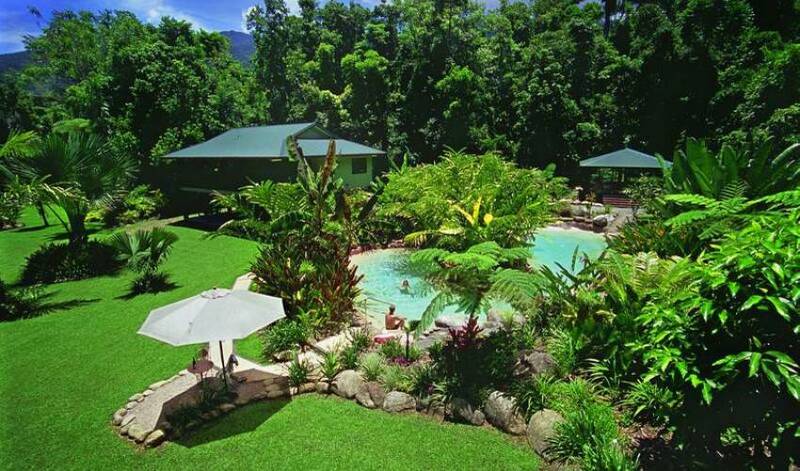 The property is an easy drive to the beautiful World Heritage Listed Daintree Rainforest and Cape Tribulation National Park and renowned Port Douglas with its great array of international shopping, spectacular Mossman Gorge, and the scenic Atherton Tablelands overlooking the Coral Sea and dotted with amazing waterfalls. 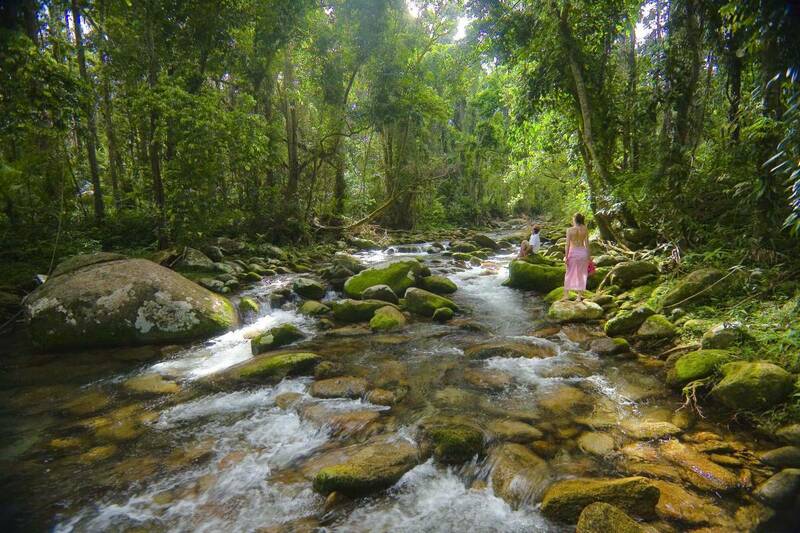 Cairns and surrounds in Far North Queensland offers so much for the nature lover to enjoy with its unique and beautiful flora and fauna and its spectacular marine life. David Attenborough, world renowned naturalist, described his visit to the Wet Tropics as "One of the most magical experiences of my life". "Where the rainforest meets the Reef" - the lush Jungle of the world's most ancient rainforest, and second in size to the shrinking Amazon, the Daintree/Cape Tribulation National Park adjoins pristine beaches fringing the Coral Sea and Great Barrier Reef Marine Park. 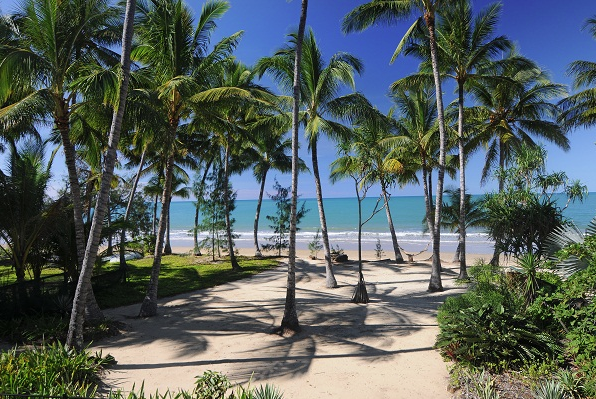 Both the Daintree rainforest and the Reef are a "must do" for visitors to Far North Queensland. Unlike countries with ancient man-made buildings from which many of our visitors come, Australia has a different history - an ancient natural heritage which includes the Australian Aboriginal people who are the most ancient civilisation on earth with a history going back over 40,000 years. 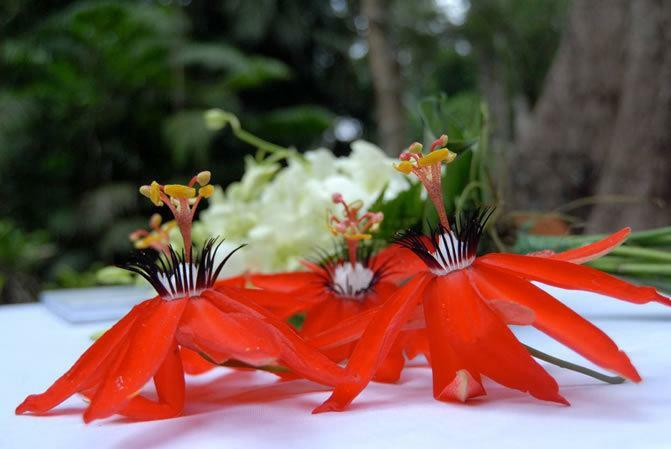 The Flora of the Daintree includes more families of plants with primitive flowering species than anywhere else in the world. 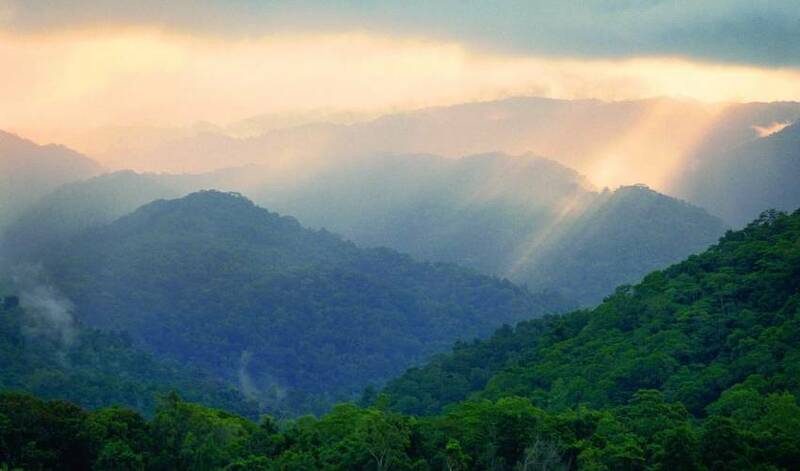 There are many towering trees in the Wet Tropics that are over 3,000 years old. 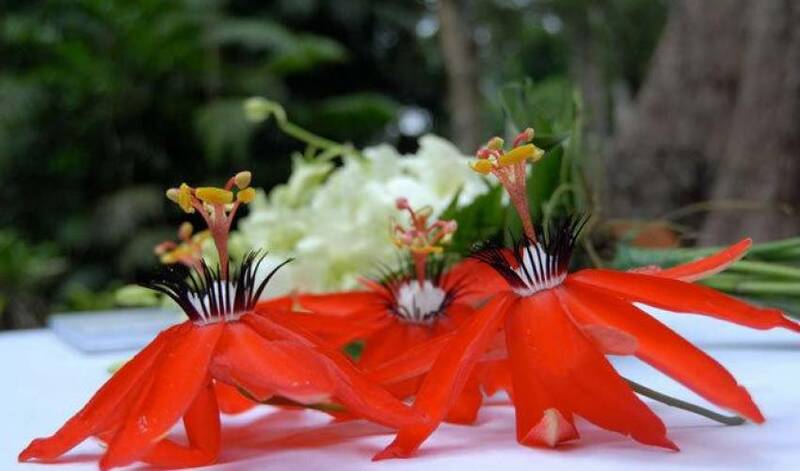 There are at least 70 animals and more than 700 plants in the Wet Tropics that are found nowhere else on earth. Among the beautiful fauna you will discover The Australian Duck-Bill Platypus, the smallest Kangaroo in Australia the Musky-Rat Kangaroo, the tree-climbing Lumholz tree-Kangaroo, the Red-Legged Pademelon, the Agile-Wallaby, the Long-Nosed Bandicoot, the Green Ringtail Possum and the Lemuroid Ring Tail Possum. Other mammals you might see at Misty Mountains include: - The Spectacled Flying-Fox, Little Red Flying-Fox, Microbats, the White-Tailed Rat, the Yellow-Footed Antechinus and Atherton Antechinus, the Bush Rat and the Australian Dingo, regarded as the purest breed of dog in the world. The amazing variety of frogs will enchant you - Ranging from the beautifully coloured Orange-Thighed Tree Frog to the Little Red Frog, the Green-Eyed Tree Frog, the common Frog, Robust Frog, Common Nursery Frog, the Graceful Tree-Frog and the Northern Dwarf Frog. 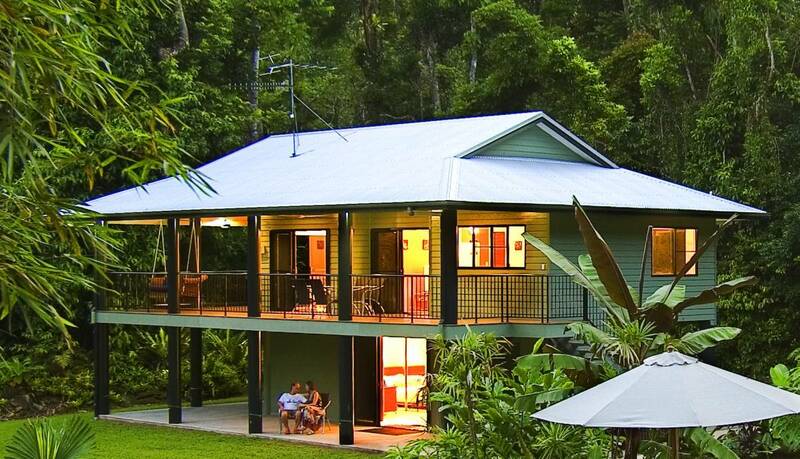 At night you are lulled to sleep by the symphony of beautiful frog calls in the rainforest and creeks. The butterfly population in the Wet Tropics includes over 40 species, including the Hercules Moth, which is the largest moth in the world. The splendid colouring of the Ulysses butterfly will have the camera working overtime as will the large Cairns Bird-Wing butterfly. You will have the opportunity to photograph the rainforest flora, fauna and marine-life unique to this beautiful part of the World. We don't feed the animals or birds as requested by the caring National Parks officers. 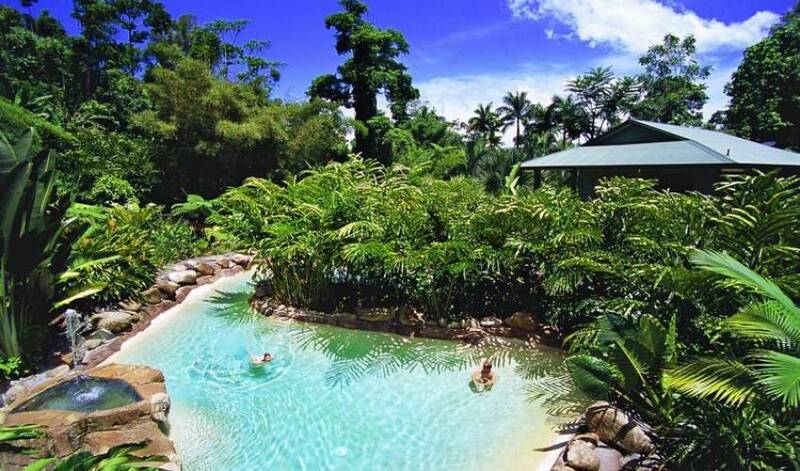 To see the Far North Queensland rainforest birds, animals and reptiles, including the crocodiles, snakes and Boyd's Forest Dragon, we suggest a visit to the Rainforest Habitat in Port Douglas is an absolute must - we have provided a link at the bottom of this page to their Web site. (AND they do an unforgettable champagne breakfast with the birds). Bird Watching - The following birding information is courtesy of the wettropics website - (You will find a direct link at the bottom of this page) - There are at least 137 species of closed forest dependent (rainforest and mangrove) birds in the Wet Tropics 23 bird species are either endemic to the region or are largely confined to the Wet Tropics region 13 species are known to be strictly endemic to the Wet Tropics and 9 of them are from the uplands with the other 4 ranging down to lower altitudes. There are so many activities, both at the Retreat and in the surrounding area that you'll find it hard to decide what you want to do next. The Retreat offers a range of activities for couples seeking romance, relaxation, or adventure - it is after all your honeymoon or getaway, so do whatever you both want. 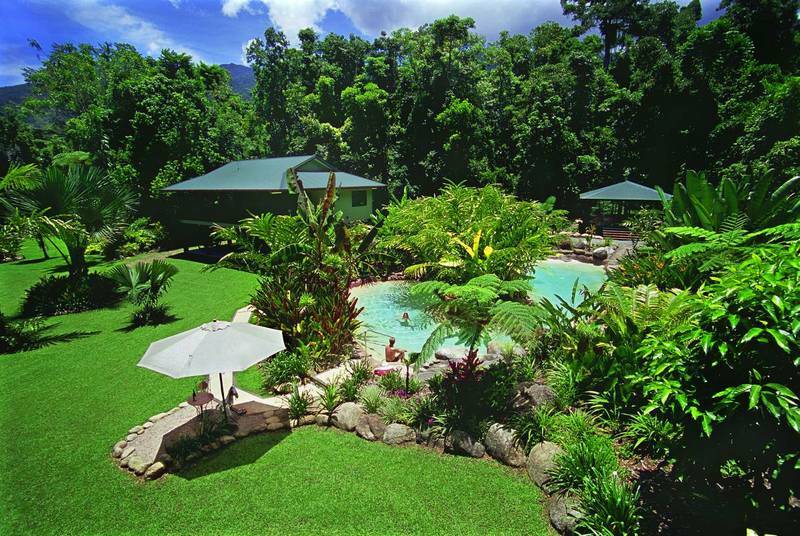 Experience Nature's Wonderland by walking through the rainforests and gardens and explore the many different varieties and species of wildlife and plants that call this their home in Mt Bellenden Ker. A nature photographer's dream you will have the opportunity to snap the striped possum, tree kangaroo's, the flightless cassowary, platypus, green and blue peacocks, red bush turkeys, blue Ulysses and Cairns birdwing butterfly, the green tree frog, wahoo pigeon, fireflies and hundreds more. 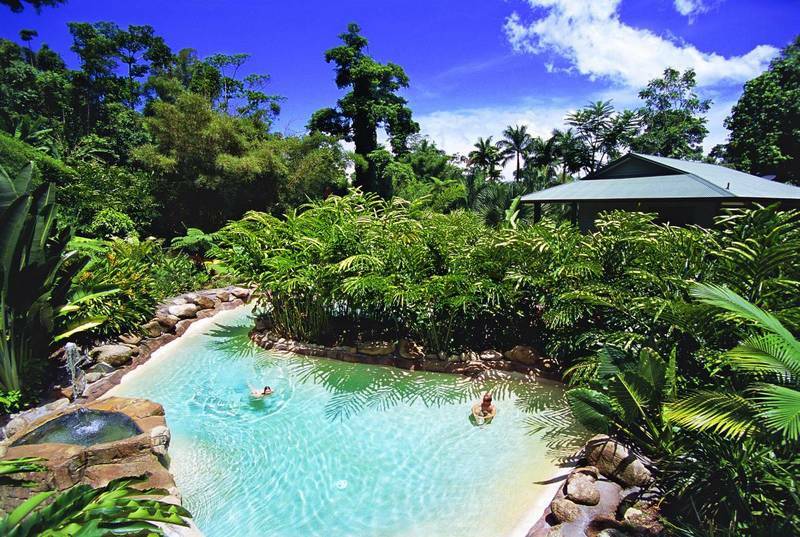 Explore the rainforest and for the adventurer's take a hike up the mountain, swim the secret rock ponds, and have a natural spa in the running streams, a perfect alternative for a romantic afternoon. 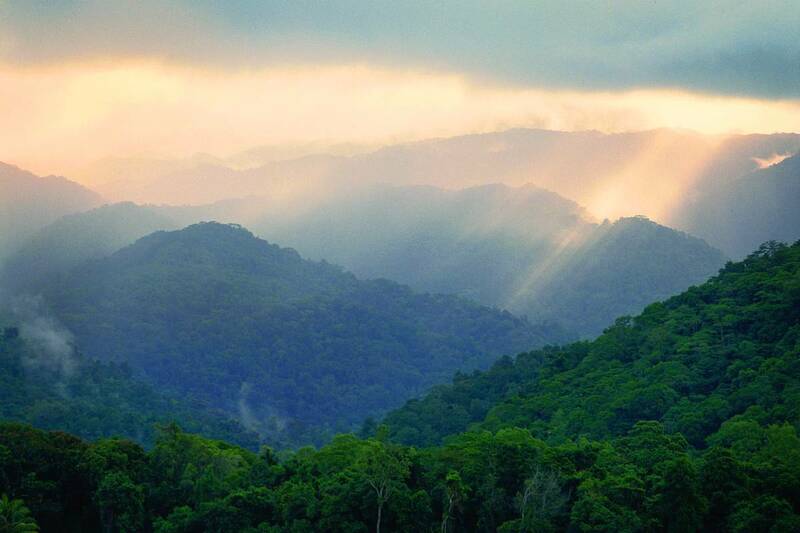 At dusk you will see the fairies of the rainforest, fireflies come alive and glow like little cities in the forests. Bird-watching is another popular choice for visitors, even if you aren't into birdlife you can't help but admire the huge array of tropical bird life that live all around you. On our Nature page we have some great birding links for you. There is also a club car, (electric golf buggy) that you can use to explore the property if you don't want to walk. The massive pool is at the entrance of the Glass Club Bar where you will be able to dance away the hours, play a game of pool, watch your favourite movie in surround sound on a 180cm screen, or play a game of virtual tennis on your Nintendo Wii, or make your own cocktails, or choose from a great selection of the finest local and imported beers, wines and spirits available at your private bar. Champagne Balloons will pick up guests from your front gate and take you on the most magical ride of a life time, another early morning for a beautiful champagne breakfast a must for romantics. Paronella Park is also a must do see www.paronellapark.com.au only 1 hour drive south from the Retreat, also there are plenty of fruit stalls along the way and also the Atherton Tablelands is another day trip to explore a drive in the countryside, filled with rolling hills, cheese and chocolate factories, coffee and tea plantations, and road side fruit stalls, there are also many waterfall trails along this drive. White water rafting for the adventurers please see www.ragingthunder.com.au to seek the thrill of white water rafting they will also pick up from Misty Mountains to tour the Tully Rapids.